Heat oven to 375°F. 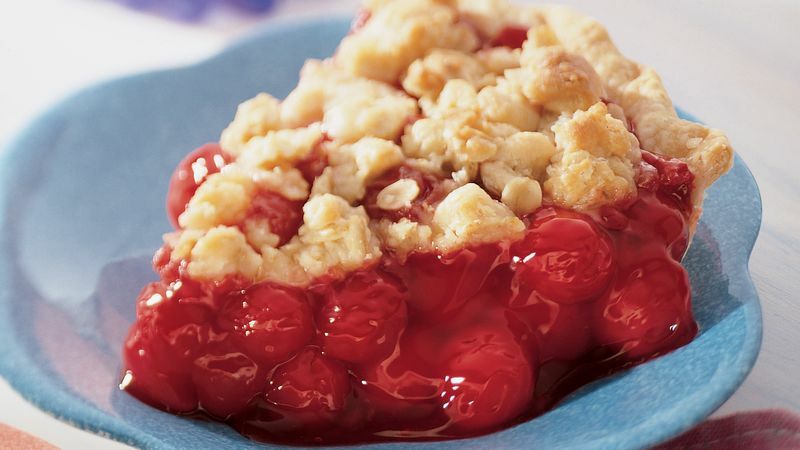 Make pie crust as directed on box for One-Crust Baked Shell using 9-inch glass pie pan. Bake 8 to 10 minutes or just until set but not brown. Meanwhile, in small bowl, mix marzipan and butter with pastry blender or fork until well blended. Stir in oats and flour until crumbly. In large bowl, mix all Filling ingredients. Remove partially baked shell from oven. Pour filling into shell. Crumble topping over filling. Return to oven; bake 30 to 40 minutes longer or until topping is golden brown and filling is bubbly around edges. If necessary, after 15 minutes of baking, cover edge of crust with strips of foil to prevent excessive browning.